I’ve discovered a love for poetry in recent years. A passion awakened by hearing the late, extraordinary Mary Oliver read her poem ‘Wild Geese’. An experience that had a profound effect on me at the time. Now, her words, hand painted, hang from my living room wall. Words that made me gasp and caused my heart to sing. Words that still do. The power of the spoken word, especially spoken by the one who crafted it, is immense. I’ve always imagined sharing these treasures with my children. And I’ve started to, with my eldest. I shared another poem, by the same author ‘I worried’, with her recently. Her anxious face lit up as I read. Someone else knew how she felt. It gave her confidence. It affirmed her. She was not alone. She loves words too and is beginning to discover the sheer joy of poetry. Of words used well. My youngest child, who has Down’s syndrome, is largely non verbal. She has very few, if any words. She may not yet have the words to say to us but our words matter hugely to her. And poetry is, it seems, a powerful form of expression for her too. The spoken word. Only the other day, I found her looking at the Ipad over her sister’s shoulder, as they watched Michael Rosen perform a poem he had written. She could not repeat a single word but was utterly captivated by his expression, his story telling and his passion for the subject – Chocolate Cake. He brought words to life and enabled her to share in his delight. Unlocking a subject she knew little about in a glorious way. There’s nothing quite like the joy of hearing a non verbal child laughing like a drain! Words, or more importantly, how we use them have the power to unlock or close down. As we approach another World Down Syndrome Day I see many people online spreading a message through their words and pictures of what life is really like to live with Down’s syndrome. Telling a story of hope, fulfillment and community. They do so for good reason. All too often, the words offered to pregnant women and their partners when the subject of screening for Down’s syndrome comes up, are words that close down. Words that shut out possibilities. Words that paint a bleak picture. Words that may offer sympathy but that do not offer hope. There is no power in pity. It’s time this changed. We know the reality. You see we have a passion for the subject. And we can tell these parents a different story. We can use words that can unlock their dreams and their hopes and their plans again. We have the words that can dispel the myths, whilst being able to acknowledge their fears; we were in their shoes once too. We have the words to give them confidence. The words to affirm them as parents who will be able to love and cherish their child regardless of an extra chromosome. We have the words to show them that their child is not going to be defined by a list of medical issues or learning disabilities. We can bring words to life. Real life. Their lives. We want these parents to be given the opportunity to talk with or learn from families who are living lives that include Down’s syndrome. Living lives not of medical reference but of poetry that reflect the highs and the lows of bringing up a child with Down’s syndrome. We want to be able to unlock a subject they may know little about and invite them to discover for themselves the joy that is to be found in the life of a person with Down’s syndrome. Poetry in motion. Lives well lived. Sadly, here in the U.K. there are no second chances for the 90 percent of babies who are detected as having Down’s syndrome in the womb. Their prospect of life is brought to an end. Discriminated against before they even draw breath. We need to get this right. Words need to change and the voices of those who know must be heard – especially at that most critical time of screening and diagnosis in pregnancy. It’s not the only question that deserves a careful answer. Categories: #NIPT, Abortion, Acceptance, Disability, Down Syndrome, Down's Syndrome, Joy, Parenting, Prenatal Testing, Trisomy 21, Uncategorized, World Down Syndrome Day | Tags: #Chocolatecake, #dontscreenusout, #downsyndrome, #life, #MaryOliver, #MichaelRosen, #midwives, #poetry, #poetryinmotion, #positiveaboutdowns, #pregnancy, #prenatal, #WildGeese, #words, #wouldntchangeathing, joy | Permalink. Some say that the old toys we used to play with as children were the best. I’m inclined to disagree; I much prefer, on the whole, the technology we have nowadays. iPads win over Etch a Sketch for me any day. I recall a time when, as a child of the seventies, Science Sets were all the rage. Big shiny boxes with a photograph of a child wearing a white coat and spectacles on the front. Holding in their hands a bottle of some brightly coloured liquid and a pipette. Always a pipette. Test tubes, potions and conical flasks found their way into many a bedroom- turned laboratory. But they were not for me. I never had a Science Set. Perhaps I never asked for one, I’m not sure. It seems unlikely, given that the only toy I was interested in experimenting on was a Girls World; hairstyling and make up appealed more to me than staring into a microscope. I did, however, own a kaleidoscope. One of those garishly coloured tubes with a twisty end and a lens to look through. A toy which, on the face of it, could not compete with the Science Set. A toy which was easily disregarded and unlikely to make it onto most children’s Christmas lists. Undesirable. Though, if your childhood was anything like mine, then you probably got one anyway – it was the kind of toy your Granny would buy you. Yet it was a toy that held a secret. A toy that, when you held it up to the light, something beautiful happened – if you looked inside it. Brightly coloured shapes would form into patterns, shifting around as you twisted it. A new landscape with each turn. Different, each and every time. No pattern ever quite the same. Vibrant. Drawing you into its charm. As you closed one eye, whilst the other peered through the lens, all else around you became obscured. A toy that took you into a new, mysterious and enchanting world. A toy that did not have to be cleaned up or packed away in its box. A toy that, when most other toys had lost their appeal, kept on giving. All you had to do was take it in your hand, put it to your eye and look up. Look up at the light and take a closer look at the beauty that was within. Along with me, those mini scientists grew up. Most abandoning their childhood experiments in favour of other career paths. But some continued. Their interests awakened at an early age and their skills honed in a state of the art, technological era of scientific discovery. They are the scientists of today. Brilliant minds pursuing new and exciting technologies. Some of them have made new discoveries. Most recently in the field of pre-natal screening. They have found more advanced ways than ever before of telling a pregnant woman whether the baby she is carrying has Down’s syndrome – though they are not always as accurate as those who sell the tests sometimes claim. More advanced ways to view the unborn life using big grown up Down’s syndrome detecting Science sets. If only they’d use a kaleidoscope; they would discover so much more. Look up at the light, see the landscape. Categories: #NIPT, Disability, Down Syndrome, Down's Syndrome, Joy, Prenatal Testing, Trisomy 21, Uncategorized | Tags: #baby, #dontscreenusout, #downssyndrome, #downsyndrome, #humanity, #kaleidoscope, #life, #NIPT, #science, #T21, #wouldntchangeathing | Permalink. I am a treasure seeker. I love to be surrounded by beautiful things. Not necessarily expensive things – though I like them too. Just beautiful things. Recent treasures I’ve acquired are hanging in my redecorated living room; a picture of a woman gazing out of a window, a bird cage on the table behind her. Anything with a bird cage in it is beautiful to me, there’s something deeply enchanting about them. Then there’s my framed Frida Kahlo staring strikingly out from the chimney breast. These are my latest beautiful things. My children love treasure seeking too. Over the years my eldest has kept an assortment of valued bits and pieces she has found or been given. A diverse and eclectic mix of fascinations. Conkers happily collected on the way home from school one day, actual fairy dust in a tiny bottle, confetti from a family wedding, bits of paper from friends with “bff” scrawled on them in childish form, usually under a hand drawn princess or something fluffy and adorable. I remember the time, as a toddler, she literally held onto one particular treasure for days. Ignoring the vast array of toys she had successfully acquired my daughter chose, as her most favoured possession, an empty margarine tub. She carried the margarine tub with her wherever she went and at all times. Her limited language skills at that point meant I never found out why the tub found such favour in her eyes. Its worth was not apparent to me, to begin with, but her love for it was. The margarine tub became important to us all. Her younger sister also finds treasures of her own. A discarded ribbon from an unwrapped gift will please her often more than the gift itself. A chiffon scarf that can be floated in the air will delight her if she discovers one lying around. And as for autumn leaves cascading down around her on a windy day; well that’s her idea of heaven. Heart singing moments for her and for those who care for her. Treasure for the soul. Like balm. Where your treasure is, there will your heart be also….a biblical truth which, whether you have a faith or not is hard to deny. Most recently, my eldest acquired a new and precious treasure which she now keeps in a glass jar. A fragment of Myrrh, another kind of balm, given to her as an Epiphany reminder by a man who has spent his life treasure hunting in the Middle East. Canon Andrew White, often referred to as the Vicar of Baghdad; a man who continually seeks out the good in those often vehemently opposed to each other, to bring reconciliation and facilitate peace where only conflict exists. A man who knows where real treasure is to be found. Found among people the world often dismisses, often fears, and often shuns. My wealth has increased beyond measure since my daughter was born with an extra chromosome seven years ago. My Epiphany. Hazel has Down’s syndrome. A condition, a group of people, so easily disregarded, yet who, before they are even born, are sought out more aggressively than ever through modern screening methods. Feared and shunned by a society that cannot see the treasure that is within. Society…they are the ones whose pockets are empty. They have not found this treasure. My pockets are full and so is my heart. Categories: Abortion, Acceptance, Disability, Down Syndrome, Down's Syndrome, Faith, Joy, Prenatal Testing, Trisomy 21, Uncategorized | Tags: #dontscreenusout, #downssyndrome, #downsyndrome, #epiphany, #humanity, #life, #NIPT, #T21, #treasure, #Trisomy21, joy | Permalink. My Gift did not come wrapped in shiny paper, nor tied with a velvet bow. My Gift was unexpected, it caught me completely off guard. Gifts are not meant to be hard. The other read “handle with care”. The second; I tore off and tied to my wrist. The first, I hid, too afraid others would stare. Amongst fanfares, banners, balloons and flowers. My Gift came amid hushed tones and frowns, with questions, fears and tears. Concerns that had not crossed anyone’s mind at earlier baby showers. How could I look after this Gift? There must be a mistake. Surely this Gift was not intended for me; it was never in the plan. Azure blue almond shaped eyes, oh those beautiful almond shaped eyes! The best present I’ve ever been given. Granted, it took me a while to appreciate; I wish I’d realised before. My Gift has a beauty beyond understanding, my Gift is easy to adore. My Gift keeps on giving and giving. Occasionally it might be in sorrow; far more likely I find, it’s in joy! My Gift is priceless, its worth cannot be measured. If your Gift is labelled the same as mine, it’s a Gift you will learn to treasure. 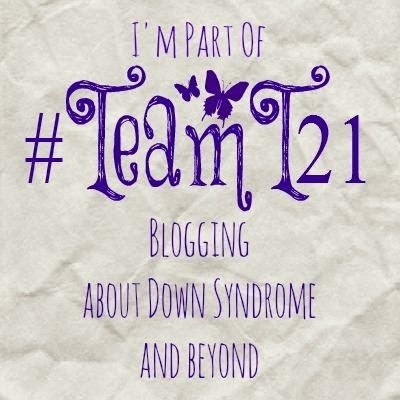 Categories: Acceptance, Disability, Down Syndrome, Down's Syndrome, Joy, Parenting, Prenatal Testing, Trisomy 21 | Tags: #baby, #dontscreenusout, #downsyndrome, #Gift, #humanity, #life, #maternity, #NIPT, #positiveaboutdowns, #Postnatal, #Trisomy21, #wouldntchangeathing, joy | Permalink. “But what do you do all day?” Is a question I am sometimes asked and, well, I don’t like to be impolite but, seeing as you asked (and even if you didn’t) I will try to answer it. Today I went into battle. On the front line. I pushed back into enemy territory. My efforts were resisted but I persevered. I took ground that was being strongly defended. I claimed it for my severely Dyspraxic child who needed a service that was being denied. Today I was brave, but I was scared. Today I was a Soldier. Today I changed a broken feeding tube, in an emergency. I bathed an open wound and I administered yet another new medication. Today, as every day, I tube fed my child who cannot yet feed. I was scared, but I was brave. Today I was a Nurse. Today I learnt all about Proprioception and how understanding it could really help my Dyspraxic child. But first I need to learn to say it. Today was enlightening. Today I was a Student. Today I took my child who struggles with reading to Hogwarts. I read two entire chapters at bedtime. We found Platform 9 and 3/4, ate chocolate frogs and fought bravely against Lord Voldemort. Today was magical. Today I was a Storyteller. Today I gave my child a haircut at home. A trip to a hair salon too distressing for a child with sensory issues. Today my home became a salon. One with toys and television and iPads. Today I felt like I achieved the impossible. Today I was a Hairdresser. Today I trawled the internet. Endless articles on Down’s syndrome, on Dyspraxia, on Sensory Processing. Today I drank a lot of coffee. Today I was a Researcher. Today I made some gadgets and gizmos. Stress balloons filled with cornflour, spinning bottles that rattled with shiny shimmery beads and bells, ribbon twirlers, baskets brimming with tactile treasures. Today I had fun making toys that would help my children make sense of the world around them. Today I was an Inventor. Today I attended another appointment to discuss the needs of my children. The sixty something appointment this year. Yes, honestly. I’ve counted. Today I was early. Today I was an Advocate. Today I wrote a blog highlighting the discrimination faced by those with Down’s syndrome. I challenged the view held by many that my child should not even exist simply because she has an extra chromosome. I tweeted my MP. Today I got angry. Today I was a Campaigner. Today I watched my anxious child find new confidence in an activity she had previously not coped with. Today was brilliant. Today I was a Cheerleader. Today I lost count of the phone calls I made, the emails I sent. Today I opened yet more appointment letters on behalf of my children. I cancelled plans, I turned down invitations. I had to let people down. Today I despaired. Today I was an Administrator. Today my glass is half empty. Yesterday, it was half full. Tomorrow is a new day. Today I am thankful for the glass. Today I met with Trainee Doctors and told them about life with a child with Down’s syndrome. Today I busted some myths. Today I was a Teacher. Today I took my child for yet another blood test. I wrapped my whole body around hers as she wriggled, kicked and generally protested about this latest injustice. Today I tried hard not to cry. Today I was a Wrestler. Today I cradled my child as she drifted off to sleep under anaesthetic for yet another procedure. Gratefully surrounded by skilled, caring people who only want the best for her. Today I could not do any work. Today I visited my child at school to watch her assembly. I saw her walk in. Slowly, gripping the hands of her teacher as she stepped tentatively into the hall. Her legs are getting stronger, her world is opening up. She is surrounded by the support, care and expertise of some incredible professionals. Today I thought my heart would burst. Today I was the happiest woman alive. I am a mother to two amazing children, both of whom have disabilities and additional needs, both of whom make me incredibly proud every single day. Today, and every day, I have the best job in the world! Categories: Down Syndrome, Down's Syndrome, dyspraxia, Joy, Parenting, Prenatal Testing, Trisomy 21, Uncategorized | Tags: #Advocacy, #blessed, #children, #CV, #downsyndrome, #family, #friends, #hats, #life, #positiveaboutdowns, #SEN, #sensoryprocessing, dyspraxia, joy, Parenting | Permalink. This afternoon, my 9 year old daughter rediscovered her Magic Set, a gift for her birthday some years ago. A happy hour or so followed this discovery as she relearned and performed some old tricks. Tricks made trickier by her dyspraxic brain, we none the less cheered and applauded her with “wow” and “amazing” and “how did you do that?” Ignoring a dropped card here and there or the not so slight of hand that kept revealing its secrets, we allowed ourselves to be thoroughly entertained by her enthusiasm and joy. We smiled as we recalled her much younger self with the same magic wand. Sent to her room for some misdemeanour or other, she slammed the door, waving her wand as she did so, shouting those magic words “abracadabra, make everything MY WAY!” Her foot stamping in time with the last two words. In a year when she has discovered that Santa isn’t real and the tooth fairy is not to be trusted, you’d be forgiven for thinking that our house is now devoid of magic. In the words of CS Lewis, there is a magic deeper still….. It has nothing to do with fairies or elves, magicians or illusionists. Before I was a mum I would imagine magical moments like this: happy parents swinging their toddler on the count of three as they walked along a path to a park. A familiar scene, but one that, in reality, never happened. Neither of our children could walk when they were toddlers. The shout it from the roof tops moment when my first born took her first steps as a 3 year old was soon eclipsed by another. The deeply personal moment she stood up at home, later that day, and whispered proudly to herself “I can walk”. The magic happens when we least expect it. Like it did yesterday. Yesterday, Hazel walked hand in hand with us, her parents, very slowly along a path for the first time in her life. Nothing remarkable or magical to the untrained eye. To the non believer, there is nothing to see. Hazel is my almost 7 year old daughter who has Down’s syndrome and cannot walk by herself. Hazel is wheelchair dependent. And, just a few days earlier, this same magic had appeared at bath-time. Her favourite toy that blows bubbles and plays a tune had stopped working. The bubbles had run out. A regular occurrence. Usually Hazel would simply turn away and look for something else to play with. Not this time. Magic was in the air. She turned and looked up at me. Directly. Urgently. Mum you need to fix this for me she said. Except she didn’t say a word. She can’t. She does not yet have the words to tell me when something is wrong or when she wants something. But she looked at me. For the first time in 7 years she told me what she wanted by looking at me. I’ve been taking a break from blogging and some social media recently. Not because I don’t like it, the opposite is true. But having my head in a screen as often as I was meant I was in danger of missing the magic. I want to be fully present in these moments. They are a long time in coming and all the more magical because of that. When a child reaches a milestone it’s always a magical moment. When a child or person with a disability reaches a milestone, or does something they have never done before it is beyond magic. CS Lewis, The Lion, The Witch And The Wardrobe. Categories: Acceptance, Down Syndrome, Down's Syndrome, dyspraxia, Joy, Parenting, Trisomy 21, Uncategorized | Tags: #abracadabra, #communication, #dontscreenusout, #downsyndrome, #NIPT, #T21, #wouldntchangeathing | Permalink. I’ve never been very good at waiting. As a child, if you gave me a Christmas or birthday present before the big day, I’d be itching to know what was inside. Prodding and poking it until I’d eventually worked out exactly what was concealed. I couldn’t wait. It was the same when pregnant with both my children. Boy or girl, I wanted to know. I didn’t need to know, I just wanted to. For no other reason than my curiosity got the better of me. I admire couples who choose not to know the gender of their unborn baby. They have a level of self-control that evades me totally. But having had two children, both with additional needs, I have had to learn, really learn what it is to wait. “Wait for me” is a phrase often heard in our family. My eldest child M, recently formally diagnosed with another condition – Dyspraxia (DCD), uses this phrase the most. With good reason. You see, for her, a simple walk with family or friends means twice the effort. What most of us able bodied do with relative ease is more challenging for her. It’s easy to overlook the work she has to put in to keep up the pace. Her friends and peers are supportive, but sometimes they, quite understandably and naturally forget; running on ahead in their excitement. Leaving her behind. Just the other weekend, we found ourselves staying in the beautiful Welsh/English border countryside with friends. Outdoors obviously called for some exploration. Not the easiest of terrain for anyone with mobility issues! So, to see her very close (and particularly agile) friend hold back and help her negotiate a steep grassy slope, hand in hand, made my heart sing. She didn’t have to of course. No one would have blamed her for running on ahead, doing exactly what children do. The friend valued my daughter and was prepared to put her own agenda to one side. Valuing each other is something increasingly missing in our society. Really valuing each other I mean. Putting the other person ahead of ourselves. Seeing their worth and valuing them for who they are, however different they may appear. Going at their pace, looking for ways to help them move forward; however much that may slow us down. Not leaving them isolated or abandoned. The friend made a choice to value. That choice made all the difference; to my daughter, and to me. Nearly seven years ago, when doctors told me my unborn baby might have Down’s syndrome or another condition, I chose to wait. I chose not to have invasive tests that would tell me for certain if that was the case. It wasn’t easy to wait. I won’t lie – part of the reason for not wanting to know was that I was in denial about even the possibility of having a child with Down’s syndrome. Part of me hoped that it was all a mistake and everything would be “fine” in the end. Hazel, my youngest, is now six and a half years old. She loves life and most of all she loves and values people. People like you and me. People. She arrived and our lives were undoubtedly turned upside for a while. She patiently waited for me to come to terms with her extra chromosome. I am eternally glad I waited for her. Waiting for her has taught me more than anything about the priceless value of human lives. … hers, mine, yours, theirs. I hope that women really do get a choice when it comes to the new prenatal screening tests (NIPT) being introduced across the NHS. I hope that choice actively includes supporting women choosing NOT to screen if they really don’t want to. Supporting them instead to wait. Supporting their choice, instead of pressuring them to ‘choose’ termination. There are far too many real life examples of the latter happening to women. I know, I was one of them. That’s not choice. There is another. And it’s a choice well worth making, I am certain of that. There is real value in choosing to wait. Categories: Abortion, Acceptance, Down Syndrome, Down's Syndrome, Joy, Prenatal Testing, Trisomy 21, Uncategorized | Tags: #choice, #dontscreenusout, #downsyndrome, #equallyvalued, #friends, #NIPT, #pregnancy, #Trisomy21, #waitforme | Permalink.